Global computer hardware manufacturer Logic Supply (www.logicsupply.com) has unveiled their CL200 Ultra Small Form Factor computer (www.logicsupply.com/cl200), built to power innovation at the network's edge. Surrounded by an ultra-durable cast aluminum enclosure, and configurable with Wi-Fi, Bluetooth and 4G connectivity, the CL200 has been engineered to bring reliability to the Internet of Things. Both models in the CL200 Series are powered by an efficient Intel Apollo Lake Celeron processor and measure a mere 83 x 116 x 34 mm. The base model CL200, running on Linux Ubuntu 16.04, features 1 GB of RAM and 8 GB of onboard storage. 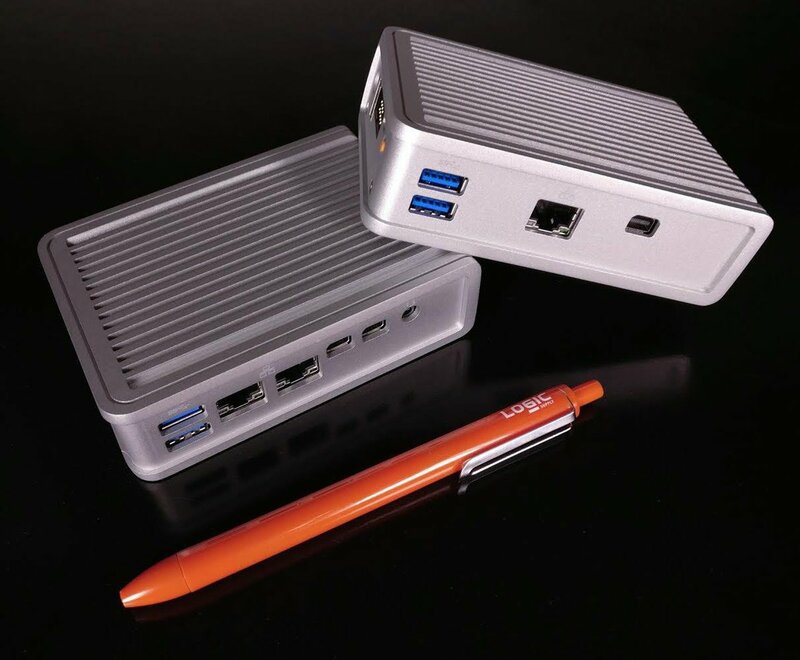 The CL210 steps up to 2 GB of RAM and 32 GB of storage, and can be configured with Ubuntu or Windows 10 IoT. A built-in MicroSD card slot on both models enables additional removable storage. I/O on the CL200 includes one mini DisplayPort capable of 1080p or 4K resolution, one Gigabit LAN port, and two USB 3.0. The CL210 features two mini DisplayPorts capable of dual 1080p or single 4K resolution, dual Gigabit LAN, two USB 3.0 and also adds a 3.5 mm audio jack. Both systems have an additional USB 2.0 port and RS-232 box header on the bottom, and are configurable with Wi-Fi/Bluetooth and Logic Supply's Extrovert 4G LTE capability.